Phil Jones has heaped praise on his club manager Louis van Gaal by suggesting that United gaffer has definitely made him a proper defender. He also believes the Dutchman is the man to make him finally realise his potential. Jones has struggled under the weight of expectation ever since his 16.5 million move to Old Trafford in 2011. Despite occasionally showing glimpses of his abilities, Jones has been unable to reach his full potential and has never been able to transform himself from a developing player to the developed player list. Even this season he has struggled to show his potential properly and has been in and out of the squad. His constant injuries has also hampered his growth. But, finally in his last two outings against Spurs and Liverpool, Jones looked solid at the back, reminding of a player who (Sir Alex) Ferguson always believed Jones would become into. It also earned him a place at Roy Hodgson’s England set-up. Infact Hodgson started him ahead of Jagielka and Smalling for Friday’s 4-0 win against Lithuania and the 23-year-old impressed on the night. He suggested that Van Gaal is the reason behind his improvement in performance. “I think it has made me a better player for adapting to different situations at different times in the game at club level and international level,” he said. “He’s (Van Gaal) a good manager. We enjoy playing for him and we’ve learned a lot from him this season” said Jones, according to Manchester Evening News. 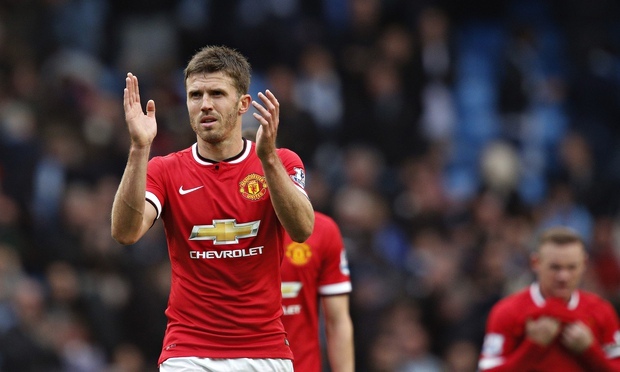 His England and Manchester United teammate Michael Carrick also echoed the same view. “He’s been great from the start for me. I couldn’t ask for any more from him in terms of what he’s given me, and the support and confidence to be a big part of the team. “Certain situations in games, he’s helped. Not just individually, but as a unit – as a defensive unit – as a group of players. I’ve definitely learnt from him,” he added. Jones also believes he has his fitness under control after constantly being sidelines with injuries. “I’m feeling good. I’ve played quite a few games now in a row and I’m feeling confident and I’m feeling fit. He also believes the regular playing time will help him cement a place in the national squad. “I just need to keep playing well and hopefully I can achieve that,” said Jones.